The Ivorian Civil War is a civil war in Côte d'Ivoire that began on September 19, 2002. Although most of the fighting ended by late 2004, the country remains split in two, with a rebel-held north and a government-held south. The presidential elections that should have been organized in 2005 were postponed until October 2010. The preliminary results announced by the Electoral Commission showed a loss for Gbagbo in favour of his rival, former prime minister Alassane Ouattara. The ruling FPI contested the results before the Constitutional Council, charging massive fraud in the northern departments controlled by the rebels of the Forces Nouvelles de Côte d'Ivoire (FNCI). These charges were contradicted by international observers. 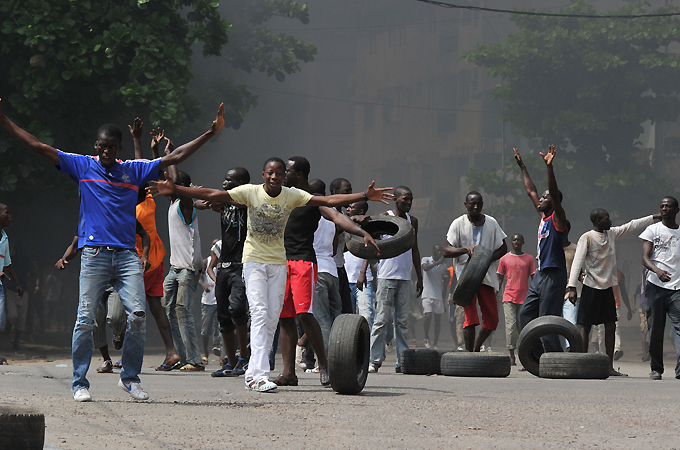 Fighting resumed on the 24 February 2011 over the impass on the election results, with the New Force rebels capturing Zouan-Hounien, and clashes in Abobo, Yamoussoukro and around Anyama.